6 deep Strata trays (2 columns of 3). Tray storage available in Beech finish. 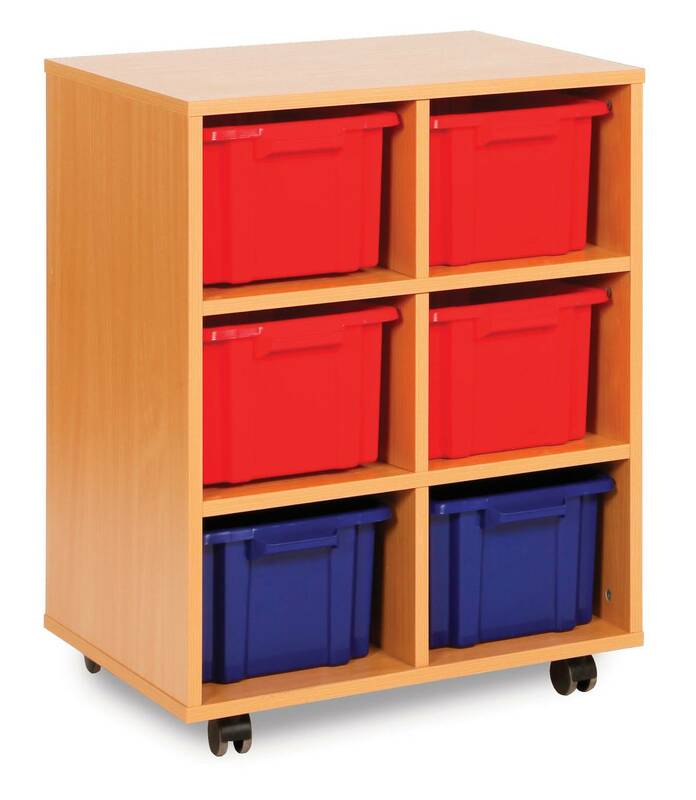 Delivered assembled, complete with castors and trays.